Once the seminars were done, over 180 travel agents from St. Louis, Milwaukee and Chicago had been updated on all the news from the Riviera Nayarit and Puerto Vallarta. The Midwestern states welcomed the Puerto Vallarta-Riviera Nayarit Joint Promotional Campaign from March 13-15, 2017. The Promotions and Sales departments of the Riviera Nayarit Convention and Visitors Bureau (CVB) and the Puerto Vallarta Tourism Trust were in charge of the activities. “We want to increase the number of tourists from the Midwest, especially from Missouri and Wisconsin so they’ll be on par with those from Chicago, which is in third place among the states that send the most visitors to the Riviera Nayarit,” commented Marc Murphy, Managing Director of the Riviera Nayarit Convention and Visitors Bureau. 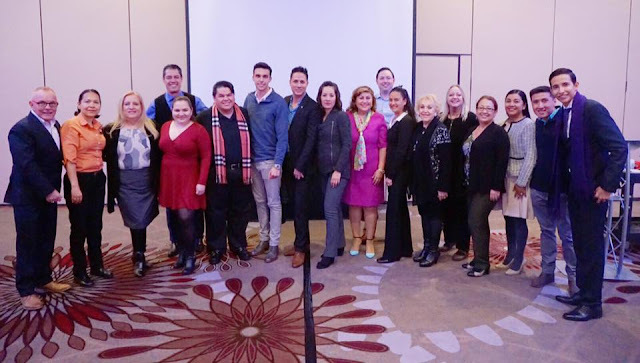 By the time the seminars were done, over 180 travel agents from St. Louis, Milwaukee and Chicago had been updated with the latest news from the Riviera Nayarit and Puerto Vallarta. There were 15 hotels from both destinations accompanying the Joint Promotional Tour, as well as some of the top wholesalers from the region. “Another aspect we’re trying to build up with our Midwestern tourists is having them travel here during other times of the year besides winter, which is when they visit the most,” added Murphy.